The normal, time-consuming way of shopping for clothes is overrated. Subscription boxes are the way to go! JustFab is a membership-based online store for clothing that I recently decided to try out. So far, everything I’ve received from them has been adorable, inexpensive, and good quality. As I mentioned in previous JustFab reviews, I prefer to skip the monthly credit so that I can always have access to their sales. 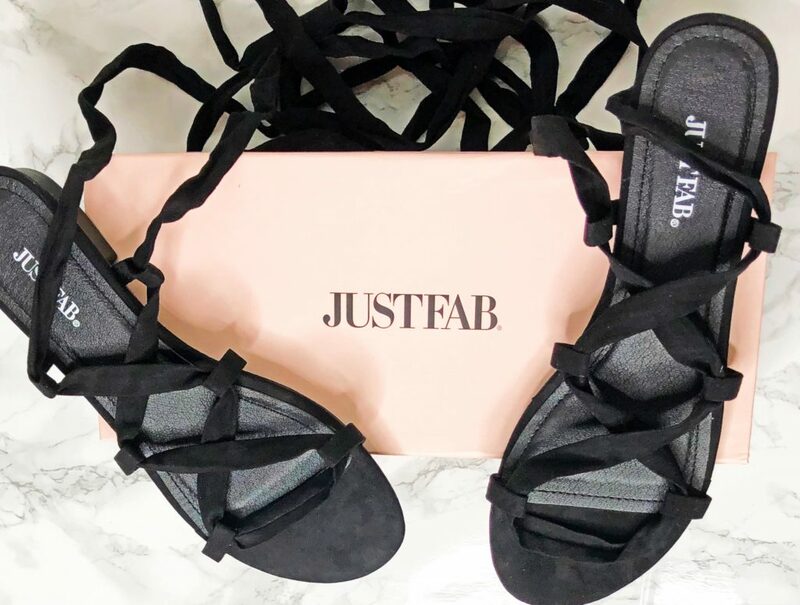 There’s only one downfall to JustFab—you can’t combine your member credit with any other deals they have going on. I found this out the hard way, but thankfully, their customer service was very understanding about it. Their sales are great, so I still think it’s worth it. Skipping a month is better too because you get charged when you actually place the order. With that being said, this review shares the items I purchased this month, savings opportunities, and similar clothing subscriptions that you might enjoy as well. Although I skip my JustFab member credit, I still make sure to check emails to see what sales they have going on. During the end of November, they had a fantastic sale for buy one get one free everything! I had to take advantage of this and get a couple pairs of shoes. After placing my order, I was notified that it would ship within a few days. Once shipped, it arrived that same week. It came in a large, plain box—I got two pairs of shoes that I’ll be sharing below! I’ve always been in love with the look of knee-high boots but never had the guts to buy a pair. I figured now was a perfect time since they were such a good deal. 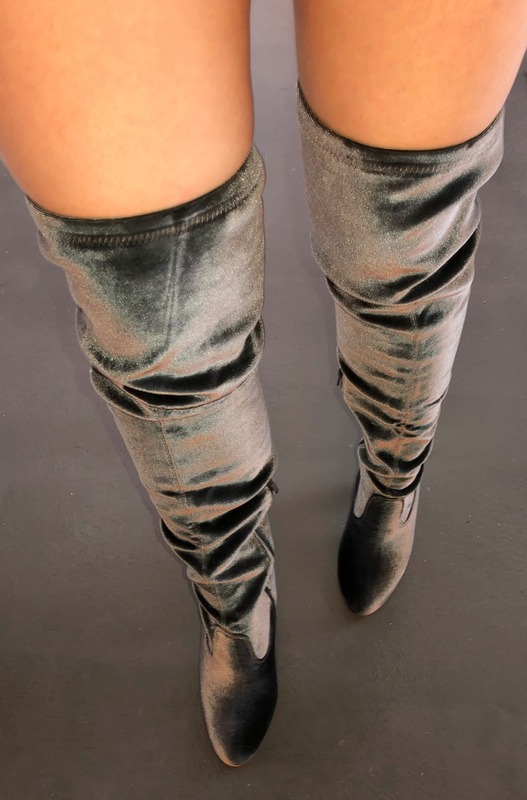 These grey velvet heeled boots looked gorgeous on the website. With the BOGO deal, they were only about $17. Such a steal! One worry I had is that they might not fit my thighs right since their models looked pretty skinny, but the fabric stretches and fit perfectly. Although I won’t wear these very often, they’ll look incredible when I do. They’re perfect for a night out (when I find the perfect dress or outfit to wear them with). Even though it’s nearly winter, I’d been eyeing these adorable sandals for a while. I picked the black color so I could pair them with more outfits. They’re very cute! The only drawback is that they’re a bit difficult to tie, but it became easier once I got the hang of it. Like the previous pair of boots, these sandals were true to size. 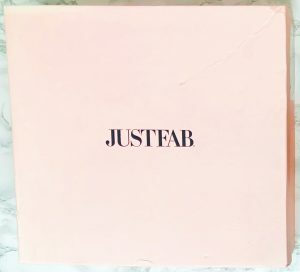 As I mentioned earlier, one of the greatest benefits of signing up for JustFab is their amazing introductory deals! For example, they offered my first item for $10 when I first joined. This even applied to the more spendy items, such as shoes, so I got a high-quality pair of sneakers for around $15 (including shipping and tax)! This is a spectacular deal, and they nearly always offer new-member deals like this. In addition, the sales after you’ve become a VIP member are pretty good as well. As you saw from my purchase, they had a buy one, get one free sale on everything in their store. They have deals like this all the time! If JustFab doesn’t seem right for you, there are many other clothing subscriptions out there. I’ll be sharing a few that I’ve subscribed to and how they compare with JustFab. This is one of the most popular stylist subscription boxes. 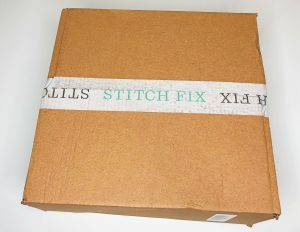 As you can see from my Stitch Fix reviews, they offer shipments with four clothing items and one accessory. These are chosen by real stylists based on your style profile. I was very wary about this type of subscription at first because I’m picky about clothes, but they did surprisingly well at matching my style! They charge a $20 styling fee per shipment, which is applied as a credit towards any items you purchase. Another common type of clothing subscription is rental services! Le Tote is one that I love. You pay a set monthly fee for a specific number of clothing or accessory items in each shipment (they have plenty of plans with different prices). They also offer unlimited shipments, you just have to return one before you get another. Although you don’t get to keep the clothing unless you pay extra, you still get to wear new clothes and designer brands all the time at a reasonable price. Clothes never seem to last very long anyway, so it makes sense to rent them. They have maternity and plus-size options as well. Still curious? We also have an entire page dedicated to the best clothing subscription boxes! These include more stylist services, rental clothing boxes, and even regular subscription boxes for clothing. To sum up, I loved the JustFab shoes I got this month. Once again, I received access to a fantastic deal by being a VIP member. Although it’s a little annoying to skip every month, it’s well worth it for member sales like this. The boots I got were fantastic quality for such an inexpensive price! The sandals were great as well.